Highland Woodworking wants to help you improve your hand tool collection. 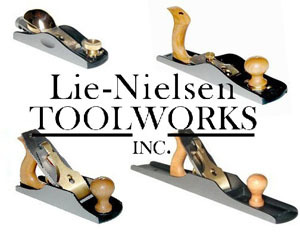 Enter our Lie-Nielsen sweepstakes for a chance to win an impressive selection of beautifully made Lie-Nielsen hand tools. Don’t delay – get your entry in at www.highlandwoodworking.com today! The only things missing is a medium shoulder plane and a 3-piece set of mortise chisels. Otherwise this is the perfect set of tools for the hand tool user. I’ll be putting in my entries. Just bought a lie-Nielsen horning guide and love the ease of setting angles. These tools would work greeeeat in my construction of wooden rocking horses. Thank you for the chance at winning.